With decades of rich industrial experience and knowledge, we are engaged in offering a healthier range of Rice. Owing to attributes like rich taste and mesmerizing aroma, our rice is used in homes, hotels and restaurants for preparing delicious cuisines. Moreover, our rice is easy to cook and light to digest. Once procured from the trusted vendors, we process this rice to remove husk and foreign particles. Moreover, our clients can avail this rice from us at pocket friendly prices. Below are the Rice varieties available with us and we can add more as per customers requirement. 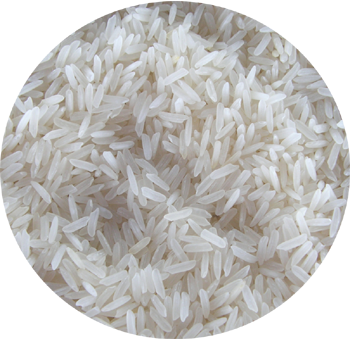 Basmati Rice, Sella Rice, Parimal Rice, Matta Rice, Aastha Rice ( Daily), Aastha Basmati Rice Popular, Aastha Basmati Rice Old Is Gold, Aastha Basmati Rice Silver, Aastha Basmati Rice Sella, Aastha Basmati Rice Rozana, Aastha Basmati Rice Regular, Aastha Basmati Rice Platinum, 1121 Basmati Steamed Rice, 1121 Basmati Golden Sella Rice, 1121 Basmati Sella Rice, Long Grain Parboiled Rice, Sona Masuri Steamed Rice, Sona Masuri Parboiled Rice, Parimal Rice, Pusa Steamed Rice, Pusa Parboiled Rice, Ponni Boiled Rice, Matta Rice, IR64 rice.